PRL Glass Company was founded in 1989 and is now family owned by the Landeros family. The company originally started its operations under a 3,000 square foot building with 3 employees in the city of Santa Ana, Ca. At the start of the business we began offering glass and mirror stock sheets to the Glazing Industry. 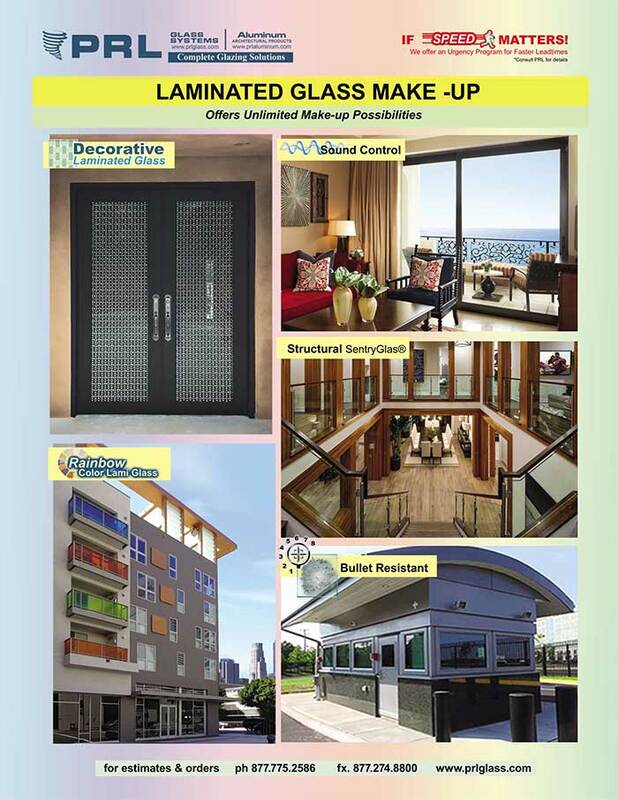 We slowly started offering fabricated Glass, Shower Doors, All Glass Entrance Doors and Beveled Mirrors. With the idea in mind to have the fastest lead times in the industry. For a period of 10 yrs all of our fabricated tempered glass was tempered by others. In 1999 we took the initiative to purchase our first tempering oven (“all in” like in a poker game) and now we have 3 tempering ovens. To this day PRL continues with the same vision and basic fundamentals as day one and that is to have the fastest lead times in the industry. You our loyal customer have given us the opportunity to grow from 3 employees to 300+ employees and from 3,000 sq. ft. to over 250,000 sq.ft. It has been a dream for PRL and a great challenge to reach this monumental achievement of where we all are today, and we would like to extend a very special thank you to all our valued customers. PRL now offers over 20 complete products lines that we provide to the commercial and residential construction industry, as well as to the furniture manufactures. We look forward to continue to grow in the years to come and continue to offer the best service and highest quality tempered and laminated glass manufacturing in the industry. The proven leadership and expertise of PRL and your support, positions us to be the fastest growing company in the Architectural Glass & Architectural Metal industry. If you are in our area please don’t hesitate to stop by and take the nickel tour.